This is my first Play! Box so I was super excited when my doorbell rang and there was that super cute little box. If you are following my Snapchat (Szizzy12184), you were able to see the unboxing and how cute the package is. 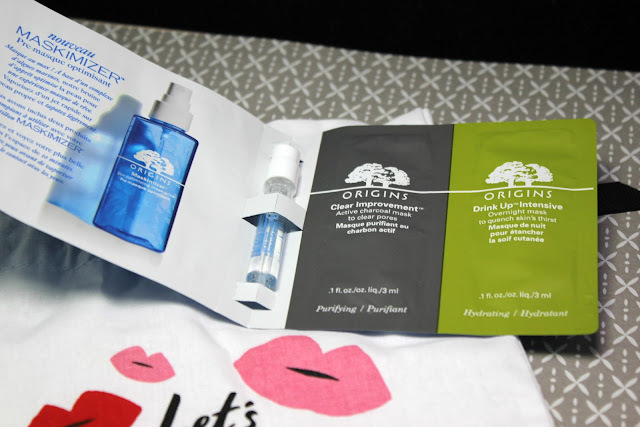 Overall, I am impressed with the products that I got. All for only $10! Check it out! 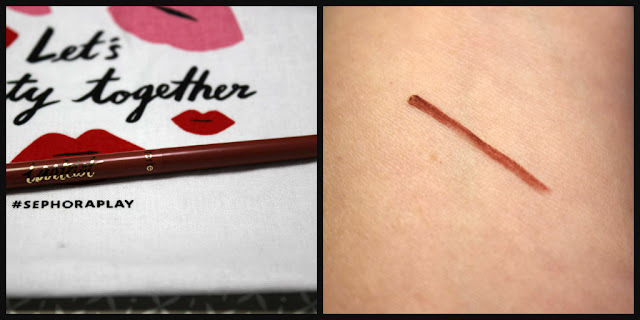 I am in love with BITE BEAUTY, so I was so pumped when I saw this deluxe sample. This is from the Amuse Bouche collection and it is in the color Kimchi. It is a highly pigmented bright pink color and it goes on just as silky smooth as the rest of the Amuse Bouche collection. It also has a citrus smell, so that's just fantastic. 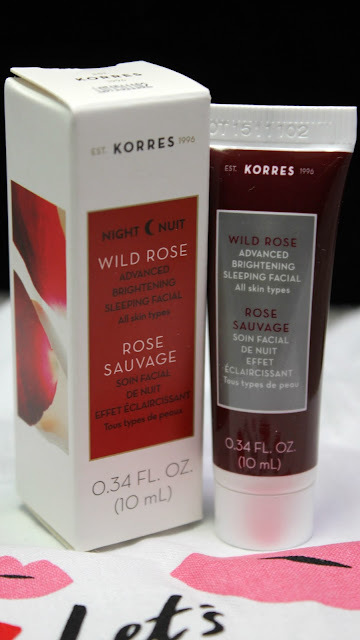 Next up, the KORRES Wild Rose Brightening Sleeping Facial. This little lady has made it into my permanent rotation. You only need a little tiny dollop of this to cover your face, so this one will make it a while before I run out. Not only does this smell fantastic, but it also feels fantastic. 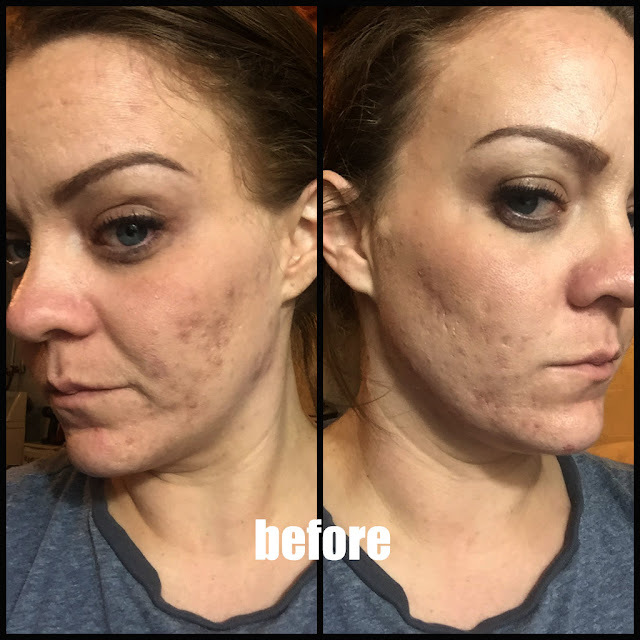 I am hoping to see improvements with my skin tone and scars. It is packed with Vitamin C.
I have not tried this next product, but I am sure I will not be disappointed. 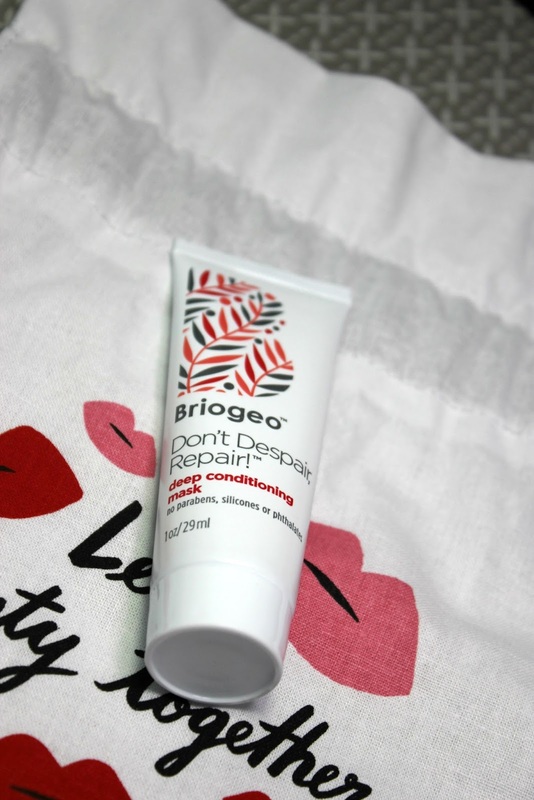 The BRIOGEO Deep Conditioning Mask repairs, softens and reduces frizz. I am pretty excited to use this in the next couple of weeks. Next up is the TARTE Tartiest Lip Crayon in the color Latergram-Mauve. Ok. so this sample is a supppppper skinny pencil BUT I do love the color. It's a little dark for my natural lips, but it is a perfect compliment to a lot of my go-to colors. It is super creamy and applies with a nice pigment. My next goodie is from ATELIER COLOGNE in the scent Orange Sanguine. Disclaimer: I already received this as a sample with one of my orders and I actually used the entire thing. This is a very different scent with a citrusy and flowery scent mixed together. I like it and I think it's great for the summer, but it's not my favorite. I am more of a Miss Dior girl, but is light and pleasant. Lastly. I have the ORIGINS purifying and hydrating mask as well as the Maskimizer. 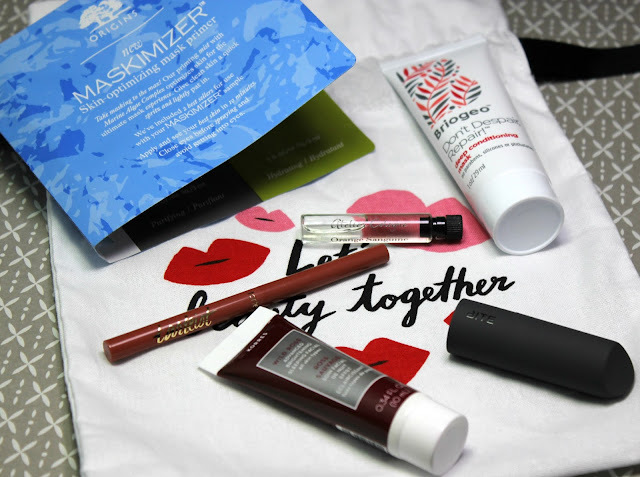 The Maskimizer is pretty neat because it's a primer for your face masks. It is supposed to improve spreadability and rinseability while boosting hydration and radiance. Sephora says its good to use with all masks except the "peel-off" masks. Overall, I liked this month's bag. You get 5 deluxe samples, a bonus fragrance sampler and a voucher for 50 bonus Beauty Insider point with any product purchase in store for only $10. I like it so far and I can't wait to see what I get in my next box.